- Guild Quests added- Adjustments to some status ailment-related Soul Trait namesIssues Fixed- Issue with Coin discount Guild Effect- Issue with Shunsui (Thousand-Year Blood War version) in Extreme Co-Op- Chat window and Inventory screen displayed on top of each other- Various Co-Op-related issuesSee in-game notices for details. Issues Fixed- Incorrect player status screen displayed- Unable to transition from a guild invite to the Guild Details dcreen- Guild-related notifications not being delivered- Issue with Co-Op friend request screen- “Overall” section not displayed on the My Status screen- “Summer of Souls” wallpaper incorrectly displayed on My Status screenSee in-game notices for details. 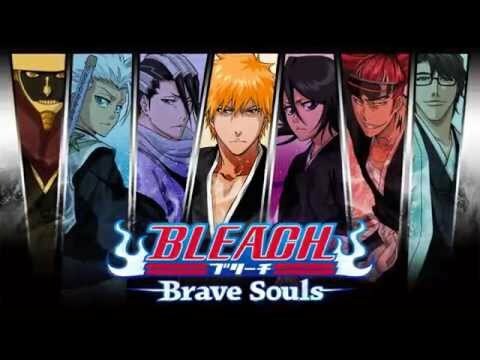 - Guild function added- Accessory Fusion and 6-star Awakening animations now skippable- Faster chat opening- Various design changesIssues Fixed- Loading problems with iOS 11- Stamina reducing Accessories not registering a minus figure under some circumstances- Room owner repeatedly tapping the "Start Quest" button in the Co-Op lobby causes an "Invalid Room" error and the room owner is charged one Soul TicketSee in-game notices for details. Issue Fixed- The game freezing on the Co-Op quest results screen. - New "Inherit Stats" feature- Co-Op: Owner Bonuses, inactive player penalties, ability to change characters after entering a room with entry requirements- Toggle text on character art screens- Raid schedule News section redesigned- Measures to prevent game force-quitting on some devices implementedIssue Fixed- The game freezing under certain conditions when Fusing Accessories- Screen freezing and the camera moving upwards during Co-Op QuestsSee in-game notices for more details. Issues Fixed- Incorrect Soul Tree level indicators in Co-Op rooms.- EXP Boosters appear to be inactive when retrying quests.See in-game notices for more details.